XRP Price Prediction – $0.79 XRP Price Is Expected! When and How Should It Happen? The world is still waiting for Ripple XRP to breakout. It was expected to happen in March, but the coin seems to be stuck in its channel and is moving sideways without any considerable changes. Are we on the verge of XRP soaring? If yes, when to expect Ripple’s growth? tradingview users provide their Ripple price prediction and share opinions about the future of the cryptocurrency. User kryptowavetrader provides a very positive Ripple price forecast. Look at his chart: Ripple might reach $0.79 in May 2019! The user says XRP is at the bottom of the accumulation, expecting an impulsive move to the top of this accumulation. Turns out, XRP has been gaining momentum all this time? Probably, we should invest now to enjoy 2x profits later. After rejecting the $0.325 Major Pivot, XRP sold off and stopped out many long positions with stops below the $0.32 level. For some time, XRP found support at its hourly trendline at the $0.315 region. User YMI is sure that it was likely a stop sweep for further liquidity before making the next leg to the upside. If that is the case the $0.35 weekly resistance is in play with a breakout higher....and the $0.29 support level if it breaks $0.31. XRP will most likely drop to supports at 0.32$ and thereafter, maximum upward capacity is to 0.377$ and even more so between 0.34-0.35$. 0.304$ is still the bearish confirmation price to 0.28$ and 0.25$. The least conservative bearish confirmation price is 0.311$. We are likely to test highs of 0.34-0.35$ conservative targets and even more so to 0.377$ increase before dropping to our downward targets of 0.28$ and 0.25$. Our final XRP buy zone still remains at 0.15-0.10$. Even if Ripple fails, it might not go so low, and, of course, it always returns back! Thus, the XRP/BTC pair is expected to fall further to the support line. The recent months weren’t anything special for Ripple – it kept following the channel without any significant changes. 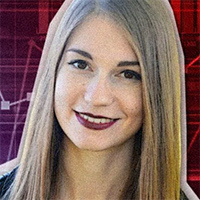 Hopefully, the forecasts are true, and we’ll witness XRP rise in April-May 2019. Despite the recent fall, Litecoin doesn’t give up, and traders continue creating new theories about its further moves. Recently, Twitter users have come up with many interestingLitecoin price predictions. Read on to find out whether it’s a good time to trade Litecoin, and how it can surprise us all. 👉MUST READ Will Litecoin’s Halving Be Bearish for Its Price, but Bullish for Bitcoin? As we see, the weather is good, and no sudden falls are expected. With such a tempo, Litecoin should reach $100 during April. So hold your assets and wait – it should happen soon.